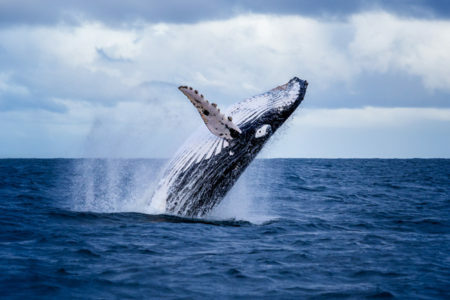 Join us on a trip offshore to see one of Bermuda’s most special visitors, the migrating humpback whales. Only in Bermuda for a few months out of the year, these gentle giants will take your breath away as they interact near the boat. On a tour of up to five hours, your knowledgeable captain will go to the best spots to seek out these beautiful animals for an experience you’ll never forget. We will be running whale watching tours every Wednesday and Saturday or Sunday from March 6th until April 28th! *Although we do our best to get up close and personal with whales on every tour, this is dependant on the whales themselves, and we must respect that we will not always be able to have close interactions with or even spot them.